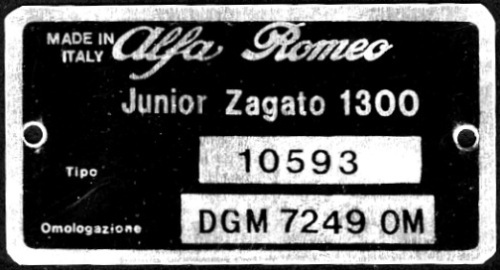 This type plate is attached to the bulkhead and carries the model number of the 1300 JZ (10593) and the Italian homologation number. Should it be missing, they are available as reproduction item. I am currently trying to track the manufacturer of the reproduction plates.